Snoring is not just an annoying sound you make while you sleep; it can be the body’s way of telling you that something is wrong. It is important to note that many life insurance companies view individuals with sleep apnea similarly to two-pack-a-day smokers. These companies will be reluctant to offer coverage at all if the sleep apnea is severe enough. Snoring can even cause couples to sleep apart, which can put a strain on relationships. So, as you can see, snoring is much more serious than a nuisance. Are You a Good Candidate for a Snoring or Sleep Apnea Procedure? If you or your loved ones have experienced sleep deprivation from your snoring, or if you are noticing other health problems, we urge you to schedule a consultation with a board-certified doctor and seek treatment at a qualified surgical center. If you have exhausted other non-surgical options, surgical intervention may be helpful. 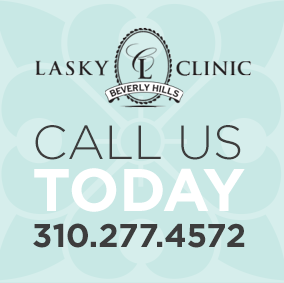 The doctors at Lasky Clinic specialize in diagnosing and treating snoring and sleep apnea with customized solutions, and we work with most insurance companies, so give us a call. Surgical treatment of snoring or sleep apnea can help reduce or eliminate the noise you make while sleeping, ensuring you and your loved ones get a better night’s sleep. It can potentially help alleviate more serious health problems.